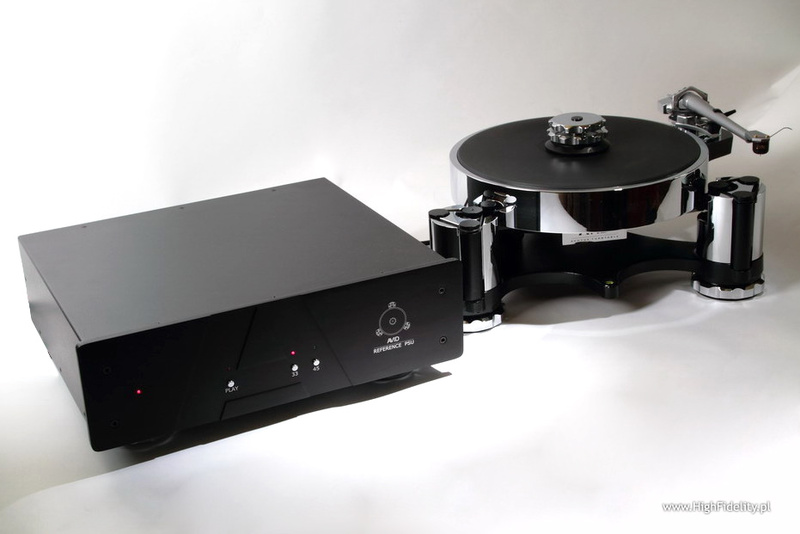 Photographs: autor, Avid HiFi Ltd. The turntable Avid Reference from the company Avid is in fact the model Acutus with a different motor, power supply and platter bearing. “In fact” is a bit exaggerated in this case, because those elements are key, and allow for enhancing the possibilities of a given construction. But in general the design of the model Reference is very close to the basic one – this is the reason, that in the section Description I just repeat some of the information I put in the Acutus test (HERE). Turntables from this company look really splendid, and each time I test them, it is not only a feast for the ears, but also for the eyes. This time it is even better, because the power supply is a full sized component, which adds “weght” to the whole. Together with the turntable I received the newest phonostage, constructed by Conrad Mas, the owner of Avid. Pulsare Phono is for him the crown jewel, and he told me proudly about it, when we met during the Audio Show 2009. Actually Poland was one of the first places, where the Acutus reference was presented with this phonostage. Pulsare Phono consists of two units – power supply and the amplification section. Exactly the same way as my RCM Sensor Prelude IC. I mention this on purpose, because I think, that it is time to move forward (I am thinking about RCM Audio) – in terms of external design and handling. Both elements are splendid in the British device, and I think, that this is how the new, reference preamplifier from the Katowice based company should look like (if ever made). With the Pulsar we have access to amplification and load settings from the front panel, what is key in my case. And one more thing – the Conrad Mas amplifier has a fully balanced architecture, also the signal from the cartridge can be supplied in a balanced way (each cartridge is balanced versus the tonearm ground) to the XLR input socket of the phonostage. 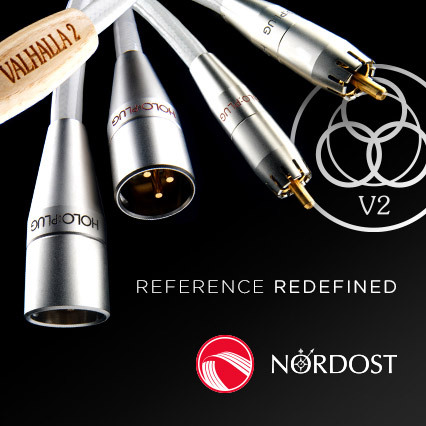 But we need to have a dedicated cable, DIN to 2xXLR we can order from Avid. Unfortunately it is extremely expensive – for 1m we have to pay 3870zl (790 GBP)! And in fact this is just a plain van den Hul cable, the D-501 Hybrid, only with XLR plugs from Neutrik. Musik wie von einem anderen Stern, Manger Products, MANG-2010, 2 x 180 g LP. Billie Holliday, Songs For Distingue Lovers, Verve/Classic Records, One-sided, 2 x 180 g, 45 rpm LP. Depeche Mode, Fragile Tension/Hole to Feed, Mute Records, 12BONG42, 2 x 180 g, maxi-SP LP. Frank Sinatra, Sinatra&Strings, Warner Music/Mobile Fidelity, MFSL 1-313, No. 199, 180 g LP; review HERE. Frank Sinatra, Sinatra&Sextet: Live in Paris, Reprise/Mobile Fidelity, MFSL 1-312, No. 238, 2 x 180 g LP; review HERE. John Coltrane, Giant Steps, Atlantic/Rhino, R1 512581, 2 x 45 rpm LP. Julie London, Julie is her name. Vol.1, Liberty, LRP 3006, LP. Kraftwerk, Tour The France Soundtracks, EMI Records, 591 708 1, 2 x 180 g, LP; review HERE. Mel Tormé, Mel Tormé Sings Shubert Alley, Verve/Polydor K.K. Japan, KI 8212, LP. Mel Tormé, Mel Tormé at the Red Hill , Atlantic/London Records, HA-K 8021, LP. The Cult, Electric, Beggars Banquet/Sire, W1-25555, LP. The Doors, Limited Edition Vinyl Box, Warner Brothers/Rhino, 7 x 180 g LP. Yamamoto, Tsuyoshi Trio, Midnight Sugar, Three Blind Mice/Cisco Music, TBM-23-45, 0080/1000, 45 rpm, 2 x 180 g LP; review HERE. Japanese issues of the CDs are available on CDJapan. 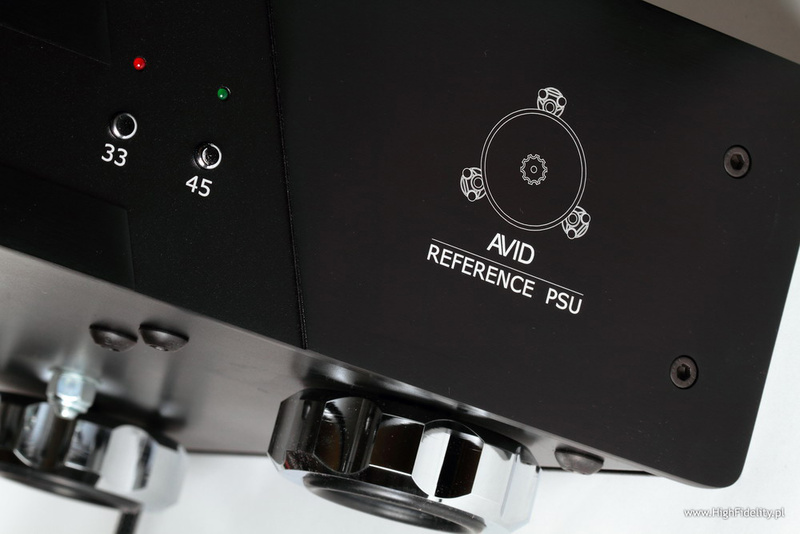 The Avid set together with the Air Tight PC-1 Supreme cartridge, in balanced connection, shows the better side of the world. If I would like to show it in some psychological background, then I would say, that it is a born optimist. For this system, there are no things in the world, which would not be worthwhile, so bad, so uninteresting, that it would not like to look at them. But antropomorphization is not the best research strategy, especially when we aspire to being objective – as a branch. But from my experience, such approximation is especially helpful, when we are trying to describe events, closely related to emotions. Because we better understand deep, multidimensional, complex things, when we compare them to something similar. And music is emotional. This is the reason, that the word “optimist” should hit the spot. The British turntable sounds in a very “civilized” way. I wrote about this characteristic when describing the Acutus, but this time, it is even more pronounced. All events on the stage have sense. Everything has a common divider, something holding all what is happening together. If it is a recording, where a voice is most important, like on the disc Mel Tormé at The Red Hill, then this voice will be shown as the star. But when it is an interaction of two, parallel elements, like on the disc Mel Tormé Swings Shubert Alley, where the vocalist is accompanied by The Marty Paich Orchestra, then those are clearly – very clearly! – two equally important elements. Both are rich in events, within their boundaries, intriguing, but when playing together, then we can hear, that it is all about their interaction, how they combine, and not about the analysis of each element alone. This sound has a built-in (something like a source code) good attitude towards the things, that the diamond reads from the groove. “Good” is not a precise description, but the best I have. And actually it describes well what I want to convey. Regardless of the quality of the recording, the state of the disc, etc, we can be sure, that the Avid system “will do its best” to retrieve all the best from the recording. To a certain extent the preamplifier Pulsare is responsible for this, due to the slightly “tubey” timbre, but I had the same thing with my RCM Audio preamplifier. 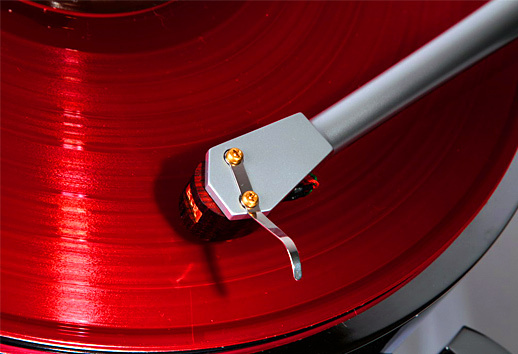 This is just how Conrad Mas designed turntables sound. As if they would not like to tackle the reality, but try to get befriended with it. This has some side effects of course, I will get to them in time, thus we need to answer to ourselves, what kind of sound we want to get. I mean, what do we expect from our system. And this is not a nonsensical question, because it should validate our choices, regardless of what others say about it. Avid is part of the group close to the line leading “up”, to the absolute, real sound, but it is not directly placed on that line, rather moved to the warmer side of it. It is not a “warm” turntable (the Pulsare is), it is not dark, not colored. It’s just that music sounds in a very “physiological” way with it. Not fully “forgiving”, but – kind. And it does not matter what kind of music we put on. The mentioned discs sounded splendid, as did Sinatra in Paris and after that the dance, double single Depeche Mode Hole To Feed/Fragile Tension. The last one confirmed, that the British system can reach very low on the bass, and that it shows bass in a colorful, and differentiated way. Bass acts like a foundation for everything above it, also with jazz recordings. It is rhythmical and well coordinated with the midrange. On the lowest bottom it is not as free from the certain “vibration”, like the Transrotor Argos is, and it was also better controlled in the Lithuanian turntable Black Stork with the Reed Q3 tonearm (test HERE). There is no need to spill the milk, because we are talking about a very small part of the sound spectrum, at the very bottom, but it is worth to know about that. On the other hand it will not be that visible with cartridges of lower class, than the PC-1 Supreme, because there will be not such a low bass. This can be nicely heard with the Miyajima Laboratory Waza, which is rather warm on its own, and the lowest bass is only suggested there. In comparison – the turntable Bergmann Sindre seemed much “lighter”, without such a fleshy bass. The presentation was more precise, more resolved and slightly more spacious. But based on my knowledge of best turntables I heard, like the Argos, SME 30, it seems that the Avid was closer to them, than to the Bergmann. Like I said, this is a slightly warm sound. The preamplifier Pulsare is responsible for a big part of this presentation. Plugging it in directly after the RCM Audio moved the timbre down, in the direction of lower midrange, and warming and softening of the treble. Because I remember well, how the Manley Steelhead v2 sounded, a tube preamplifier, and I know, that a tube does not necessarily mean warming. My RCM sounds similar to that, the Pulsare differently. In a blind test, the latter could be seen as a tube device. One lead to that could be the shape of the frequency response curve. This is a departure from neutrality, as I can define it, but one which is a part of greater whole, and was done on purpose. This deviation is within the boundaries of “correctness”, is not big, this is the reason, that we can decide about acceptance or rejection of it by our own judgment, or by our system, or by cabling. And regardless of how we decide, it will be still within good tonal balance, although not necessarily ideally linear one.